Lately, T-Mobile has steadily been rolling out more mid-band LTE capacity every couple of weeks or so, and today another round of upgrades has been confirmed. 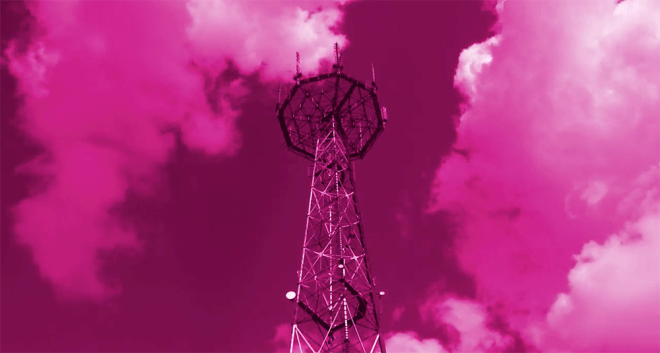 T-Mobile CTO Neville Ray today revealed that T-Mo has upgraded hundreds of cell sites with more mid-band LTE capacity in the past two weeks. These upgrades include both PCS and AWS spectrum. Some of the markets included in this latest round of mid-band LTE capacity upgrades include Sacramento, CA; Chicago, IL; Ashland, KY; and Fort Myers, FL. As usual, you can find the full list of cities and towns that’ve been upgraded below. You don’t think they are?? It took Verizon 2 years to start deploying 700 mhz and another 2.5 years to be nationwide with their 700 mhz purchase. T-Mobile is only 1 year in since purchasing 600 mhz. And they had to wait until the spectrum cleared since in many areas it was occupied by TV stations. They have now started August 14 2018) the major buildup of phase 1 since the TV stations have left and will have most of the country done by the end of next year. Phase I should be done in December. The other phases are much quicker 2 and 3 will be done by April. Utah is part of phase 1. There are only a few 600 MHz sites around the extreme borders of the state, but nothing announced in the populated areas by T-Mo. TV has to clear here by 11/30/18. Someone said it already cleared, but I haven’t found anywhere that says it’s cleared yet. If you are part of phase 1, the phase has started and should be completed by mid- December. There is a site that lists all the phases and timelines. I will try to find it again. One site is called Spectrum Gateway. Been there before. Just lists dates given by the FFC. Any idea if coverage will ever improve at Midway Texas, OSR & 21…coverage is beyond crappy here, have to drive about 5+ miles towards Madisonville and 45 to start getting an LTE signal. 90 on the other side of the 45, 20 miles, no signal at all between Madisonville and Roan’s Prairie…this is an absolute shame in 2018!!! Wait a minute Sir– this is a Tmo not as good(AND never will be)as Verizon and AT&T site. If you will kindly trash Tmo as much as possible…please. A few actually think that’s true. They are. Like crazy. Both is good. Really? When was the last time there was an announcement of new 600 markets? Cause I don’t recall much recently. . . Uh huh….and where was the new deployments? You shared half a response, a date, but not location. ..included link to this site – site moderates links…of course.. Yes, because Disqus is full of people spamming links. That’s gotta be such an endless chore…my sympathies. It’s a bad situation – they really need a way to “approve” links to one’s own own site though. Ah well. Are you that lazy, or do you just really really want to be “right” and feel that knowing the actual facts might just put a damper on that? August 10th was the last one. The one before that was July 27th (15 days)…do you need me to continue? He answered that question completely. The last time was Aug. 10th. Feel free to follow that link up there and read the article for it’s complete details. I shared a full response to your full question. Go to the article posted on this freaking website on Aug 10, 2018 and look at the locations yourself!!! Like Crazy? There’s Not one 600mhz tower in my state of Ohio. Click the 600 MHz link at the top of this page. New articles about site upgrades on July 27th,Aug 1st, Aug 10th…over 1000 sites already. I’m sorry if it’s not specifically in your area yet, but i know you’re smart enough to realize that your area isn’t the entirety of existence and that progress outside of it is still progress. Honestly, I would start to consider the problem may be Ohio – have they released any of that spectrum there form the TV stations? Check the front page of this site. 600MHz just got into Ohio. today is your lucky day. So yeah, like crazy. Go figure. These announcements are coming 1-2 times a week. It’s happening. They can’t cover the entire friggin’ nation in one week, ffs. “Mid-band” spectrum (1900/2100 mhz) will never reach farther than 600 mhz. That defies the laws of physics. Mid-band may be on more towers. The closest T-Mobile site to this town is 6 miles away, with a clear line of sight to it. The only other sites in the area are 9, 17, and 22 miles away. All have had Band 2 for years with 2G/EDGE until T-Mobile re-farmed that for LTE 3 years ago, then they added Band 71 to every site in western Oklahoma in the past year. At my office 6 miles away from this local site, my LG V30 sits on Band 2 80% of the time, with Band 71 the rest of the time. Generally you have to get within a couple miles of the site before 71 becomes the norm. That indicates that the Band 2 has higher priority in some way, is a stronger signal, or is just the preferred signal the V30 wants to use, or if there is another reason. I am suspecting that this has to do with the fact that there is an Oklahoma City TV station 75 mi away that is still operating on UHF DTV chanel 39. It is supposed to move to a new assignment by the end of the year, and this will allow T-Mobile to use Band 71 more effectively.